Welcome to Lorain Bilingual Academy (LBA). LBA is a learning community which values high expectations for both academics and behavior. 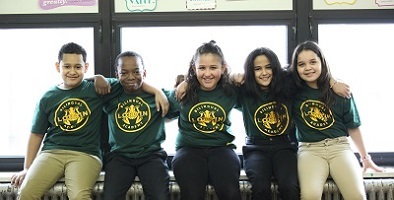 LBA staff embraces students, families, and communities to build and develop well-rounded individuals who are independent critical thinkers and intrinsically motivated to be life-long learners. We believe that all children can learn as we seek to make a difference in the lives of our students. The teachers and staff at LBA are committed to providing a quality education for all students in a safe, secure, and nurturing learning environment. We are committed to ensuring that each child reaches his/her full potential. LBA is staffed with certified members of the teaching staff and classified/support staff. In addition to core academic subjects, students have the benefit of weekly art, and physical education, classes. Special services available to students include: special education, literacy support, and counseling. We encourage all parents/guardians to maintain regular communications with their child’s teachers and be actively involved in the school community. Checking the school calendar, website, and our Facebook page for events and activities will help keep you informed. If you should have any questions, please feel free to contact the office by calling (440) 434-6320. We are looking forward to meeting your child and helping foster a love of learning. Community schools offer an alternative to the local public school. They are tuition-free and open to all students. Community schools are among the top-performing schools in the nation. Learn more about community schools. 1) Individualized Learning Plan for all scholars, 2) High expectations for student achievement, 3) Safe and secure learning environment, 4) Integrated technology to advance achievement, 5) Collaborative relationships with parents and community members. 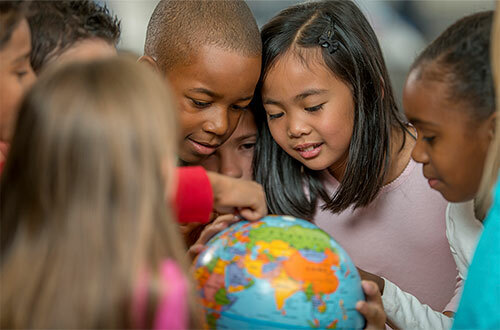 We care about every student and are committed to preparing children for lifelong success. Our Individualized Learning Plans start with a unique baseline for each student and analyze performance data at regular, short intervals. Teachers and staff tailor lessons and provide support accordingly. Individual Learning Plans are reviewed by teachers, parents and guardians at least one time each quarter. As part of the ACCEL Schools network, we strategically apply best practices to our curriculum design, teacher training, and integrated technology to drive continuous gains in academic performance. We foster a culture that is reflective of community values and interests, and we are open to all students. We are not just located in your community — we are a part of it. We partner with local and government leaders and parents. We care about the well-being and development of each child. We insist on a secure and orderly school. We address every aspect of security, from building codes and safety procedures to codes of conduct and character education. Lorain Bilingual Academy has a state of the art camera system, employs a full time security officer, and extensively trains staff to ensure the safest learning environment for all students. Lorain Bilingual Academy is authorized, which provides oversight and enforces academic, fiscal, and legal accountability. Our small class size and dedication to a well-rounded education with a specialized focus on core academics and technology make Lorain Bilingual Academy a great educational environment. Our school is part of ACCEL Schools, an established network of more than 40 charter and community schools located throughout the U.S. We serve more than 11,500 students nationwide.